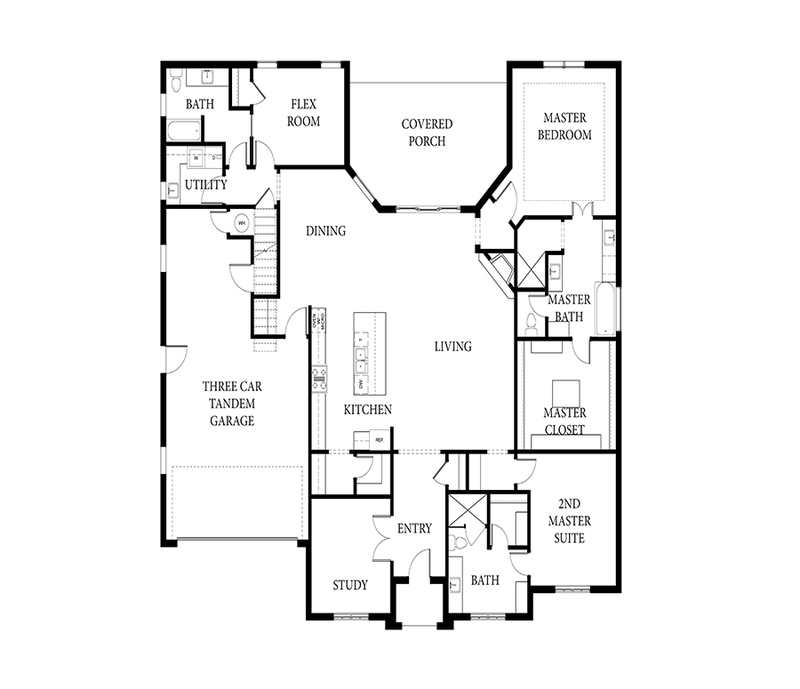 New floor plan – our Sheldon II is a French style plan offering open living space w/cathedral ceiling & corner fireplace. Lots of options with this versatile floor plan – 3 Bed+study/flex room – 3 bathrooms. Two master suites / could be 4 bed & has optional bonus room/storage space upstairs. Cook’s kitchen offers island-walk in pantry – built in gas cook top-oven/microwave-wood floors-upgraded tile-appliances-lighting-custom designer selections – 3 Car TANDEM garage – Lovely curb appeal – large covered patio for outdoor living. Full irrigation – TREX fencing. Located in SE Edmond’s new Quaint & Charming Camden Park community. Enjoy a maintenance free lifestyle here with lawns cared for by HOA. Community Clubhouse features fitness room, large kitchen/living for entertaining, coffee bar, pool, built in grill, fire pit, greenbelt & lovely landscaped entry.